The Ultimate Driving Machine also brings you the ultimate in warranty coverage. The extended BMW Warranty covers your vehicle for repairs beyond the 4-year/80,000 kilometer New Car Limited Warranty period. Only BMW could offer one of the most comprehensive vehicle warranties from the start, and make it even better. The extended warranty includes added benefits like 24-hour Roadside Assistance for the duration of the term, meaning that no matter where you travel in Canada your vehicle will be covered and can be repaired at any nearby BMW retailer. 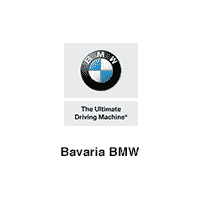 For BMW warranty repairs in Edmonton, Sherwood Park, Fort Mac, Lloydminster and Grande Prairie – Bavaria BMW is just a short drive away. As another benefit of your BMW’s extended auto warranty, the value of your vehicle is protected by ensuring that only Original OEM BMW parts are used in the service and repair of your vehicle by fully-trained and certified BMW technicians.